Although adding a new roof isn’t as exciting as a major kitchen remodel or a new deck, this improvement can significantly improve the appearance of your home — and, it boasts a national average ROI of 71 percent, according to the Remodeling Magazine report. Champion Home Exteriors offers lifetime shingles with advanced protection technology. The special shingles are specially constructed with materials that cause less harm to the environment than traditional types, and the lifetime shingles offer superior protection to your home as well. Plus, Champion Home Exteriors offers shingles in a variety of colors, from modern gray shades to light tan tones, to perfectly complement your home’s style and its color. The door is the focal point of your home. It’s the first thing that guests and visitors see when they come to your house. Adding a new door to your home can significantly boost its curb appeal, too; in fact, if you’re planning to eventually sell your home, the Remodeling Magazine report found that a steel front door can recoup 101 percent of the project’s total cost when it comes time to sell. However, if you plan to spend a little more time in your home and you’re not looking to sell, you can enjoy the perks of having a steel door. One example: Steel doors make your home more energy-efficient, Energy.gov reports. Most steel doors have a magnetic weatherstripping that seals up nicely when the door is closed, which can help to keep your energy use down. A steel door is also easily customizable, so if you decide to repaint your home a new color in the future, you can simply paint the door to complement the new exterior color. 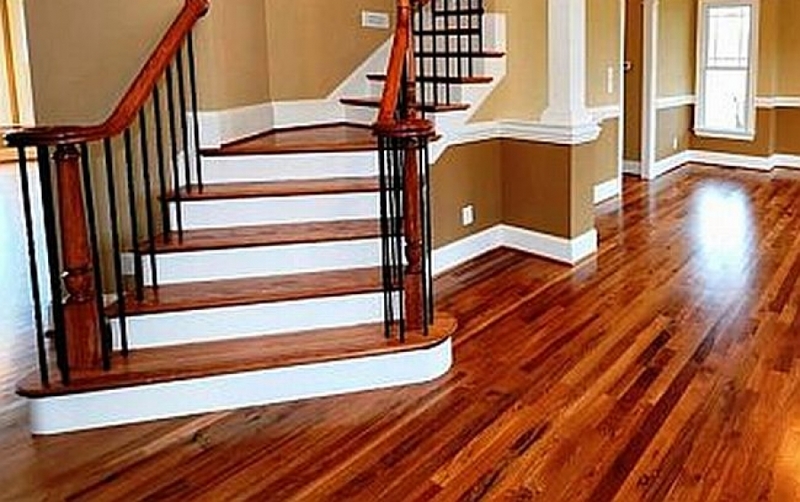 Wood flooring can last up to a century. It’s classic and can fit a wide range of different styles and designs, from modern to historic homes. Keeping wood floors like new doesn’t take much work, either. A little elbow grease and the right cleaning solutions is all that it takes. By taking extra precaution you can preserve the floor’s integrity, too. Decorate with runners and rugs to and consider using soft felt covers on the legs of your furniture to keep them from scratching the wood floor. This addition can also increase the overall value of your property. If you’re looking to sell your home, buyers are attracted to this improvement. If not, 50 years from now, you can still be enjoying your wood floors.